Most of us love our gardens but don’t have green enough fingers to tend to it all year round. Often this means a massive once-a-year tidy up over a couple of days, which creates a huge amount of green waste and other rubbish. We provide professional and reliable garden waste removal for Brisbane residences and commercial properties, geared towards helping you clean up your property with the minimum of fuss and outlay. We can even lend a hand with our chainsaw, pruning or felling trees, if necessary. 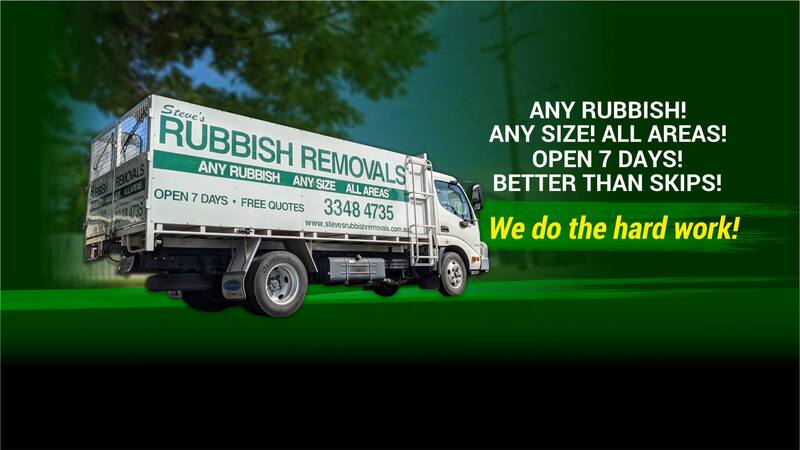 Our Brisbane rubbish removal service will dispose of all the following items for you: branches and palm fronds, fences, greenhouses and sheds, decks and patios, edgings and other vegetation, clotheslines and Hills Hoists, swing sets and trampolines, ornaments and pots, outdoor furniture and more. Nothing is too large, too cumbersome, too heavy or too smelly! We will demolish it if necessary and we do all the loading– just tell us where it’s hiding and we’ll do the rest. Working in the garden on a Sunday or public holiday? No problem – we work 7 days a week and holidays too! If you are based in Brisbane, garden waste removal is made easy using our experienced and reliable team of professionals.